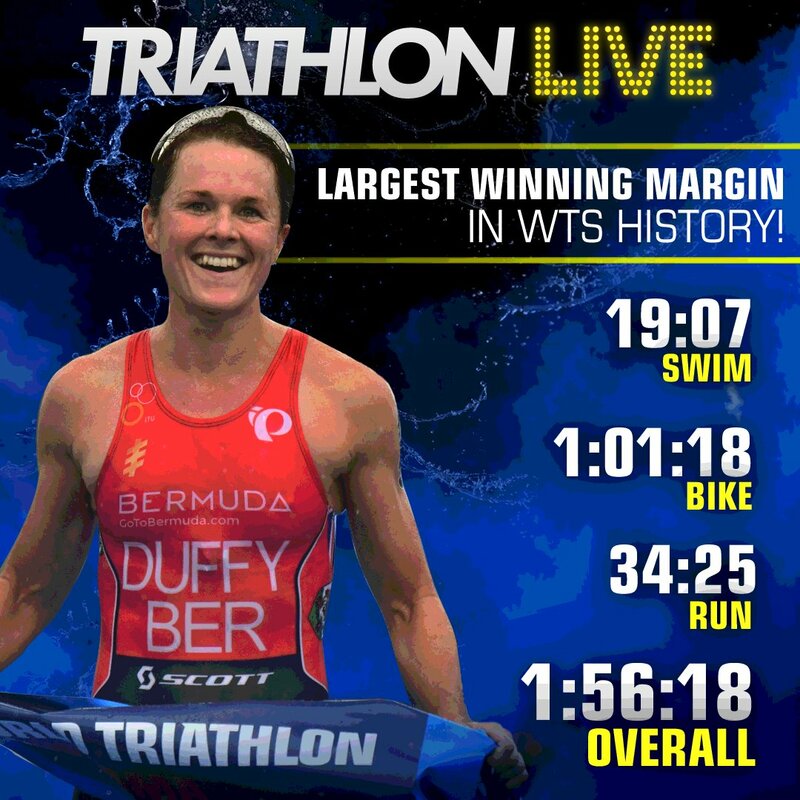 Bermuda’s Flora Duffy — the reigning world champion — has added yet another big international win to her resume, racing to victory in the ITU World Triathlon Yokohama in Japan today [May 13]. 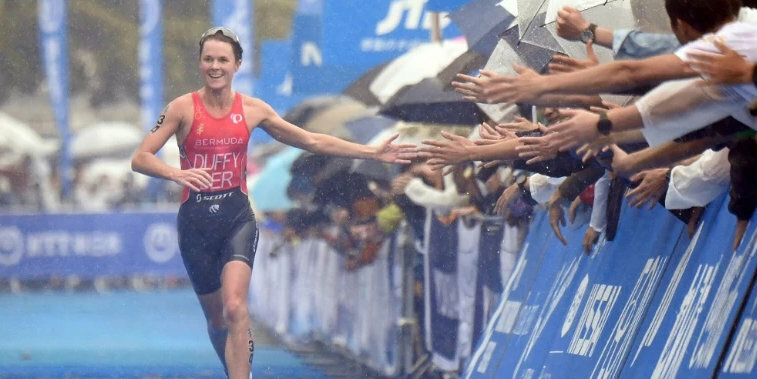 After having to pull out of the first two races of the season due to injury, Duffy lined up in Japan and produced yet another winning performance. “I didn’t know what I would have in the tank for today, I was pretty nervous coming into the race today, I felt like a WTS first-timer, but I had to keep reminding myself that I am the World Champ and I need to ride with confidence. So the race worked out great to my strengths and I am super happy,” said Duffy. Fabulous! Bermuda is proud of you! You are awesome! Many, many congratulations! Well done Flora – a magnificent result!!!! Yet another feather in the cap of Flora and Bermuda, awesome feat Flora you make all of Bermuda feel proud and good! Wow – that is simply awsome!!!! Congrats to Flora. You are rockin it girl!!!! Well done!! Congrats! Remarkable achievement, Flora! After a rest, You Go Girl Again! You are an incredible athlete! Congrats!!! Wonderful. Many congrats on this and your engagement. World Champ wedding in December beckons. OUTSTANDING!!!!!!!!!!! Again…… You’ve done Bermuda very PROUD!!!! So proud of you Ms. Duffy, you are Bermuda strong. Straight beastmode! She is really amazing. Gotta do something special for her !